This is easy, it’s the Autumn Equinox, a time of (about) equal day and night. Beginning at the Autumn Equinox until the first day of Spring, there will be more darkness than light in the sky, or more nighttime and less daytime. It usually occurs around September 22-23, but varies a bit from location to location. Mabon is a modern name for the holiday and was first used in the 1970’s. Did Ancient Pagans Celebrate The Autumn Equinox? There were several celebrations in pagan antiquity that took place in the month we now call September, though they weren’t necessarily about or on the equinox. Japan has a September celebration too that sounds similar to modern ideas about Mabon. But if you are asking if there were lots of Pagan running around yelling “Happy Mabon” on the Autumn Equinox in the year 200 the answer is no. May you be blessed with abundance from the fruit of your labors! As you enter the darker time of the year may your thought and actions stay positive, may you find joy in this time of rest and recharge your batteries. 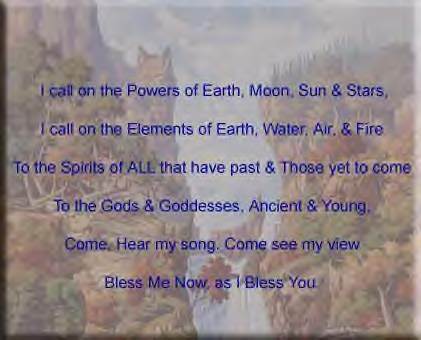 Blessings dear ones of warmth, light, rest, and comfort! Join us online in the Coven Life Chat room on Tuesday, September 21, 2016 at 7:00 PM CT for the Mabon/Autumn Equinox coven gathering. All interested are welcome to attend. Look at the banner on the left side of our “Home Page” for instruction on how to get into the chat room. If you would like to call in one of the Guardians for the Watchtowers/Corners please email Lady Beltane at ladybeltane@aol.com. You may pick which one you want to call in if it is still available. LADY BELTANE: I cast a circle three times three to keep all here safe as we celebrate Mabon. To keep our energy in and all other things out. We are now in a place that is not a place, out of time and Earthly confines. As I will it, so mote it be. I call in the Guardian of the East to bless us all and lend your power to our gathering. I call the Guardian of the South to bless us all and lend your power to our gathering. I call upon the Guardian of the West to bless us all and lend your power to our gathering. I call upon the Guardian of the Nother to bless us all and to lend your power to our gathering. In this circle we celebrate the balance of all beings and things. We ask for help in finding true balance in all aspects of our lives. We ask for a balance of mind, body and spirit for the healing of our dear sister Lady of the Abyss. Two-minute meditation on first the white candle to search for the light/positive energy within yourself and to embrace it. Two-minute meditation on the black candle to find the dark/negative energy within you and to banish it from yourself. We have now begun to balance our selves between light/positive energy and dark/negative energy. We ask The Maiden to bring more positive energy into our lives. We ask The Crone to help rid us of negative energy. As we will it so mote it be. (Leave candle burning until they go out on their own. Keep them somewhere safe so as not to start a fire) When the candles burn out Thank The Maiden and The Crone for their help. I dismiss the Guardian of the North with our thanks for lending power to our circle and the blessing it gave us. I dismiss the Guardian of the West with our thanks for lending power to our circle and the blessing it gave us. I dismiss the Guardian of the South with our thanks for lending power to our circle and the blessing it gave us. I dismiss the Guardian of the East with our thanks for lending power to our circle and the blessing it gave us. I open this circle three times three. The circle is now open but never broken. Go in peace, love, and light until we merry meet again. Depending on your individual spiritual path, there are many different ways you can celebrate Mabon, but typically the focus is on either the second harvest aspect, or the balance between light and dark. This, after all, is the time when there is an equal amount of day and night. While we celebrate the gifts of the earth, we also accept that the soil is dying. We have food to eat, but the crops are brown and going dormant. Warmth is behind us, cold lies ahead. Here are a few rituals you may want to think about trying — and remember, any of them can be adapted for either a solitary practitioner or a small group, with just a little planning ahead. Interested in learning about some of the traditions behind the celebrations of September? Find out why Mabon is important, learn the legend of Persephone and Demeter, and explore the magic of apples and more! Mabon is a time rich in magic, all connected to the changing seasons of the earth. Why not take advantage of nature’s bounty, and work a little magic of your own? As the autumnal equinox approaches, decorate your home (and keep your kids entertained) with a number of easy craft projects. Start celebrating a bit early with these fun and simple ideas. No Pagan celebration is really complete without a meal to go along with it. For Mabon, celebrate with foods that honor the hearth and harvest — breads and grains, autumn veggies like squash and onions, fruits, and wine. Are you planning your Mabon celebrations? Be sure to sign up for our free seven-day e-class, Get Ready For Mabon! Need some quick and affordable decorating ideas for Mabon? Here are some tips on how to bring the season into your home without breaking your bank account! with solitary Wiccans and Pagans in mind, and uses the apple and its five-pointed star as the focus. Apple Candleholders: Make a set of decorative candleholders by coring out the top of a pair of apples. Apple Garlands: This easy-to-make craft not only looks pretty, but will leave your home smelling delicious and welcoming! Apple Butter: Brew up a pot of delicious apple butter to celebrate the harvest. Much like the apple, the grape is one of those fruits that has a significant amount of magic associated with it. First and foremost, the grape harvest — and the wine that it produces — has been associated with fertility deities like Egypt’s Hathor, the lusty Roman Bacchus and his Greek counterpart, Dionysus. By the time of Mabon, grape arbors are flourishing. Vines, leaves and fruit are all usable items — the leaves are often used in Mediterranean cooking, the vines for craft projects, and the grapes themselves are extremely versatile. At Mabon, the leaves are beginning to change colors for the season, and look magnificent. Collect leaves from around your neighborhood in a variety of colors, and use them to decorate your altar, or make wall hangings and table runners. Mabon Incense: Make this magical blend of harvest incense to use during your Mabon rites and ceremonies. Make a Mabon Cleansing Wash: Brew up a batch of this cleansing wash using herbs from your fall garden — you can use it as a facial cleanse, or to purify your ritual space. 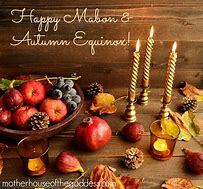 Mabon Prosperity Candles: Mabon is the second of the harvest festivals, and a great time to draw abundance into your life. Celebrate the blessings of the season with a little bit of candle magic designed to bring prosperity your way. Make a God’s Eye at Mabon: God’s eyes are popular decorations to make in nearly every spiritual path. 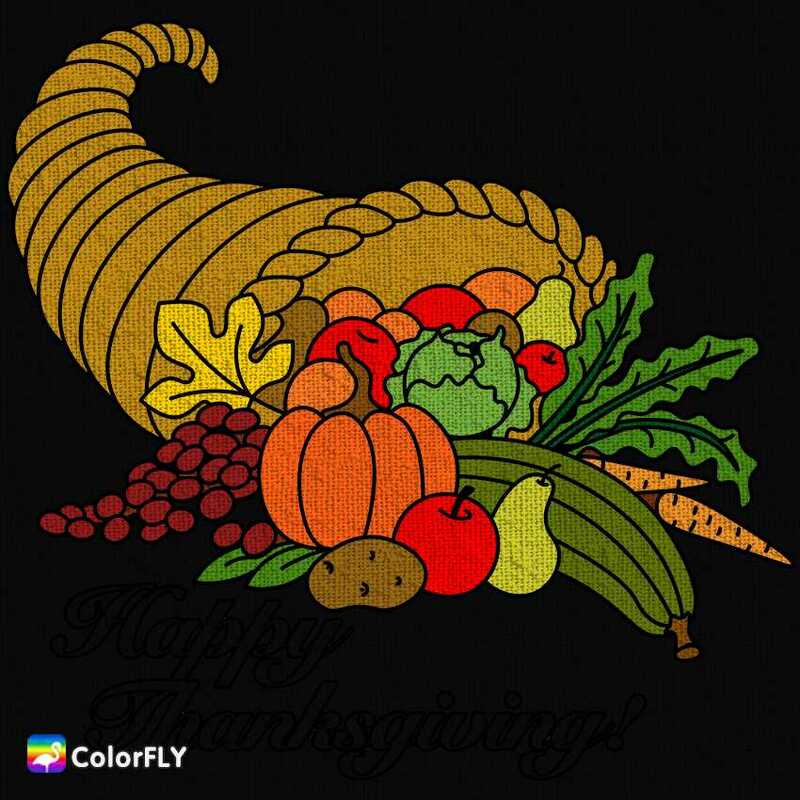 By using harvest colors like reds, oranges, yellows and browns, you can create one for Mabon to hang in your home or to adorn your altar. How to Make Pokeberry Ink: Want to make your own ink to use in magical workings? Try the toxic but lovely pokeberry, which blooms around Mabon each year! Although carved pumpkins, in the form ofJack O’Lanterns are typically associated with Samhain later in the fall, the pumpkin patches are overflowing at Mabon. These and other gourds and members of the squash family make a great addition to your equinox decorating. Place pumpkins on your porch and baskets of squash in your kitchen, or place miniature versions of them on your altar or workspace. Easy Pumpkin Candles: Everyone loves candles, and with Mabon coming you can make your own candles out of small pumpkins and squashes. Painted Pentacle Pumpkins: Paint up some festive pentacle pumpkins for your Mabon celebrations! Kitchen Witch: Use a baby butternut or any other fall vegetable to make a kitchen witch to watch over your hearth and home.